SAVE TREES AND THE ENVIRONMENT!! YOU GET SAVING ON DISPOSAL COST!!. Unknowingly, many companies are paying lots of hard earn money to dispose unwanted protective packaging such as pallets and crates after unstuffing their imported goods. Disposal Fee can range from $45-$77 per ton, and per disposal trip will cost an extra about $60, these can adds up to a huge amount. WE PROVIDE AN ALTERNATIVE TO NEW WOODEN BOXES/PALLETS. 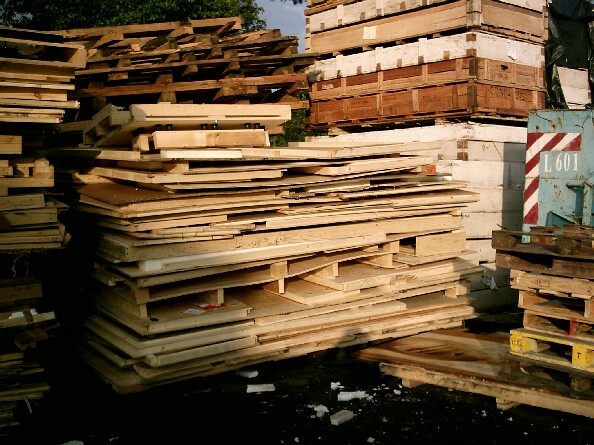 Prices of freshly cut wood has been rising sharply over the years, which in turn causes the price of wood related products like wooden pallets and wooden crates to sore. We understand companies need to keep cost low in order to maintain competitiveness. We wish and can help companies to save cost through reuse of wooden material. Each piece of reused wood is carefully selected and cleaned to make sure it is of good reusable condition. If you are still unsure of whether is this for you, why not drop us an email @ enquiry@leewung.com.sg or call us at 6269 4492, we are pleased to answer your queries. WE WANT YOUR UNWANTED PALLETS. WE WANT YOUR WOOD WASTE.